Your Primary Eye Care Center eye doctor can perform a contrast sensitivity test to determine how much your vision has been affected by a cataract. 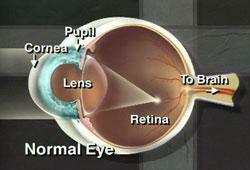 But typically, when decreased vision affects your everyday activities or hobbies, a cataract should be treated. Cataract Surgery Bloomfield, Windsor, Avon,CT.